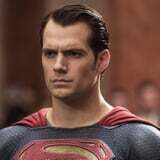 Henry Cavill's days as the Man of Steel are officially over, according to The Hollywood Reporter. The news comes amid a few big shakeups in Warner Bros.'s DC cinematic universe, which recently saw the departure of Ben Affleck - who appeared as Batman in Batman v. Superman and Justice League - and a renewed focus on an upcoming Supergirl movie, which will be an origin story about the teen superheroine. That means, if the studio sticks to DC comics lore, Cavill wouldn't be able to appear in the film anyway, since Superman's age wouldn't line up. The reason for the 35-year-old British star's exit is reportedly due to a breakdown of contract negotiations between Cavill's representatives and Warner Bros., who were trying to enlist him for a cameo in the upcoming DC superhero comedy Shazam!, which stars Zachary Levi and is set to hit theaters in April. Apparently the issues arose due to scheduling conflicts because of his new role in Netflix's The Witcher, as well as the fact another solo Superman outing won't happen for quite some time. A studio source explained to THR that "Superman is like James Bond, and after a certain run you have to look at new actors." When the deal fell through, so too did any chances of Cavill appearing as the iconic character in future films, which shouldn't be surprising for anyone keeping tabs on his mustache controversy with Warner Bros. last year. Since WB's DC properties have been having a rough patch lately in terms of critical response - translation: they've all been panned, with the exception of 2017's Wonder Woman - the studio is apparently also trying to "hit a reset button" with the DCEU, acknowledging that "some parts of the previous movies didn't work" and moving towards a new direction. While it's unclear what, exactly, that new direction is, Cavill definitely won't be along for the ride. He seemed to confirm the news with an odd Instagram on Sept. 12, which shows him slowly raising a Superman doll into the frame as he and his ridiculously sharp cheekbones look directly at the camera. Feel free to watch it on repeat and wonder why he decided to do such a thing above!